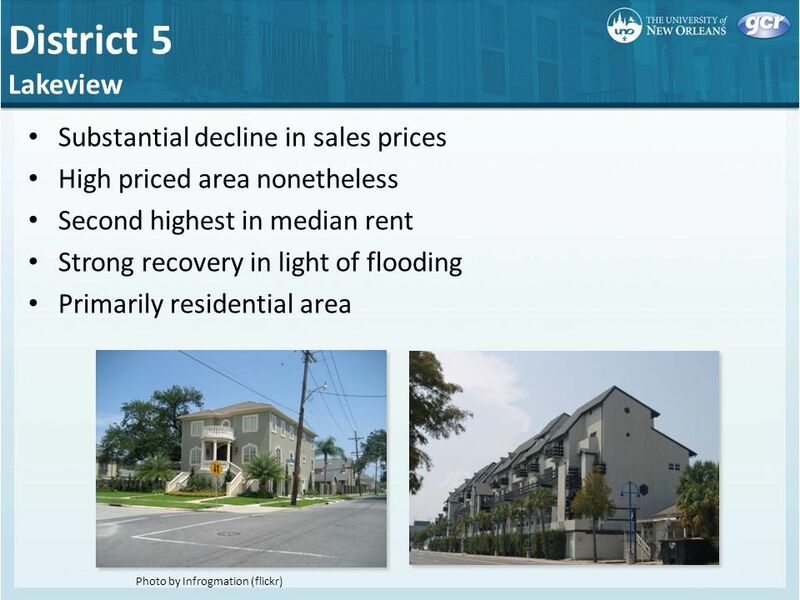 New Orleans Housing Market Assessment Overview and Major Conclusions New Orleans Housing Market Assessment Overview and Major Conclusions Presented to. 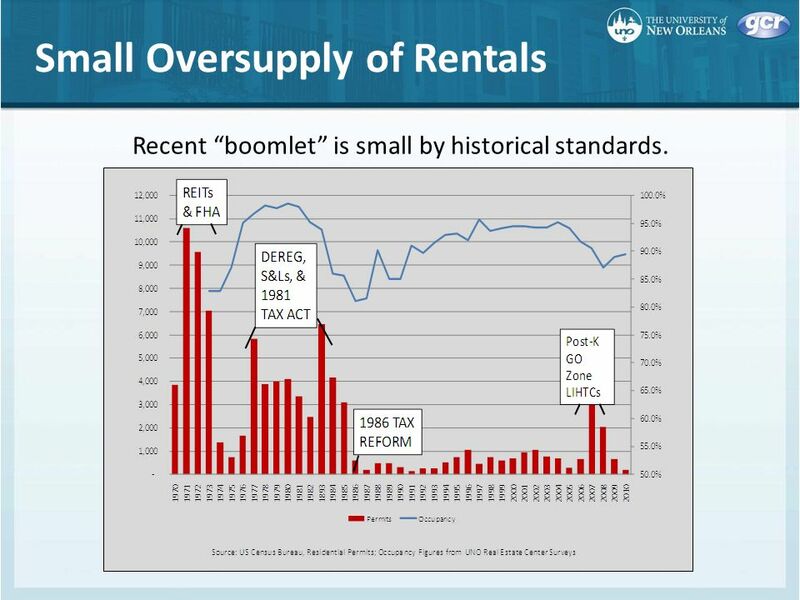 4 Small Oversupply of Rentals Recent boomlet is small by historical standards. 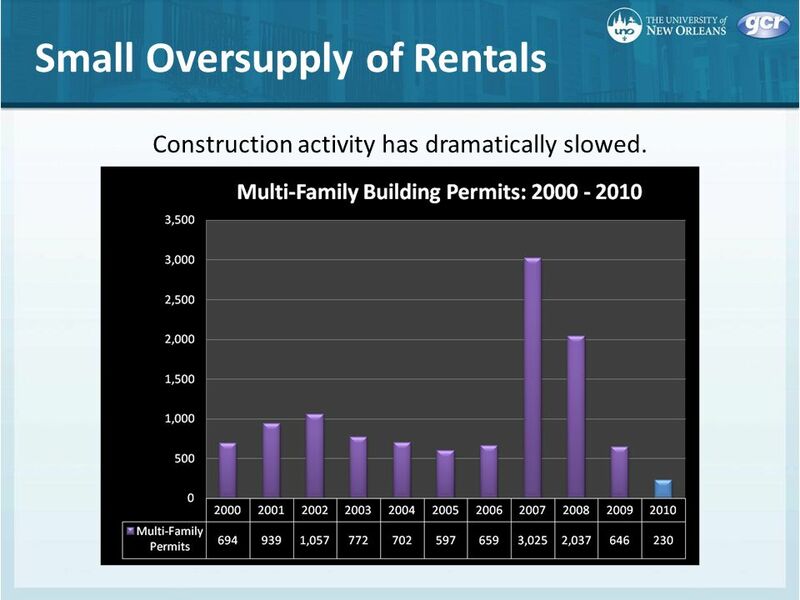 5 Small Oversupply of Rentals Construction activity has dramatically slowed. 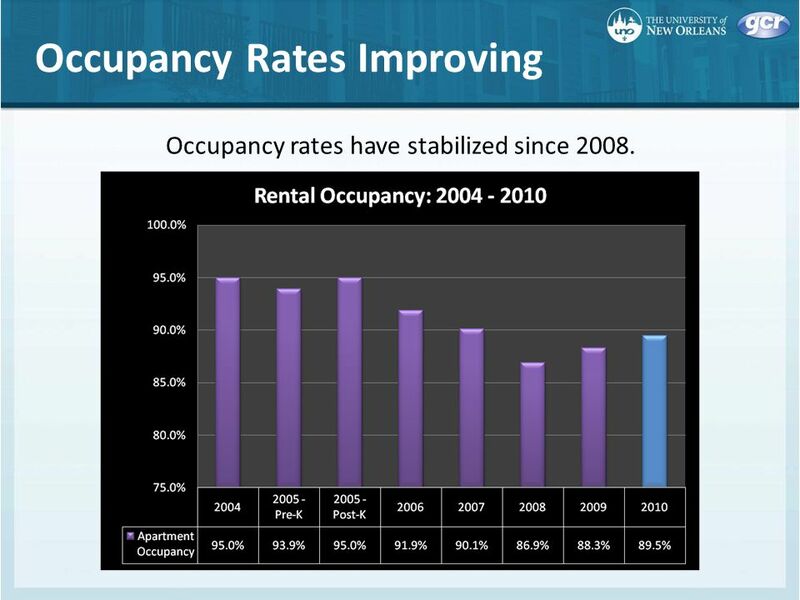 8 Occupancy Rates Improving Occupancy rates have stabilized since 2008. 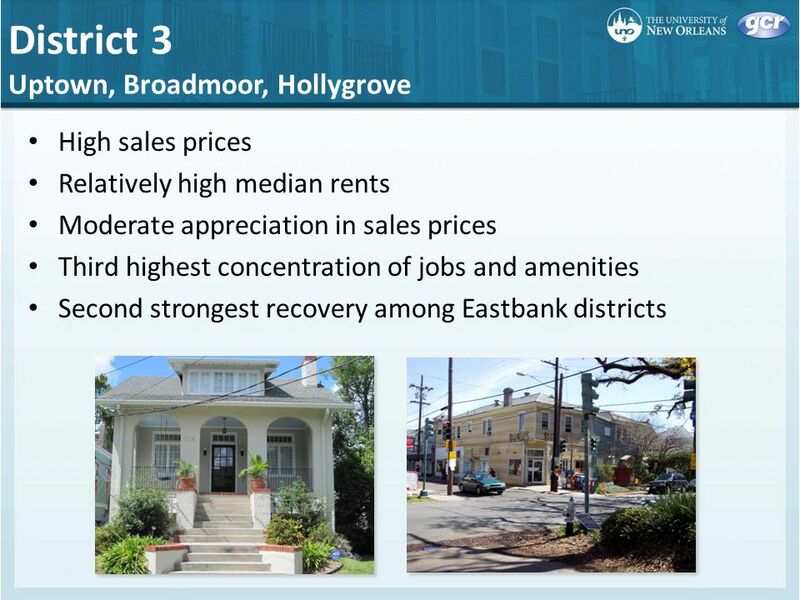 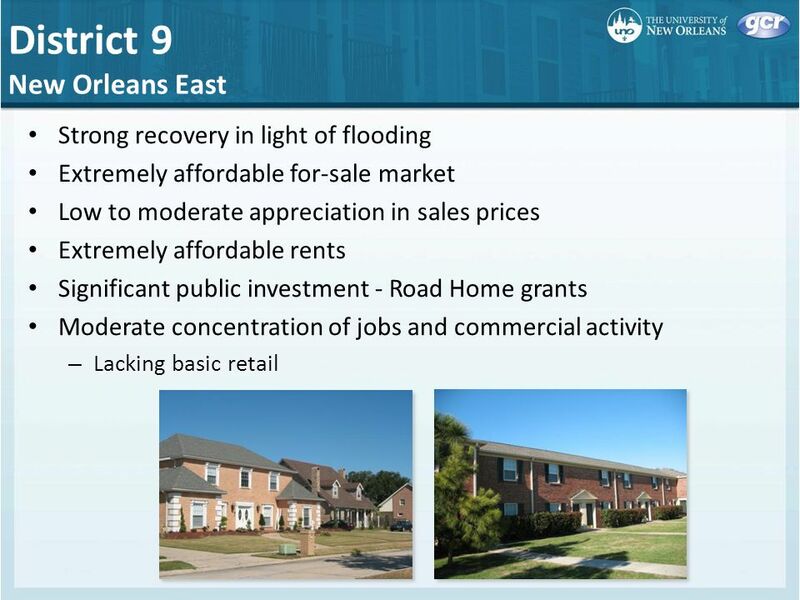 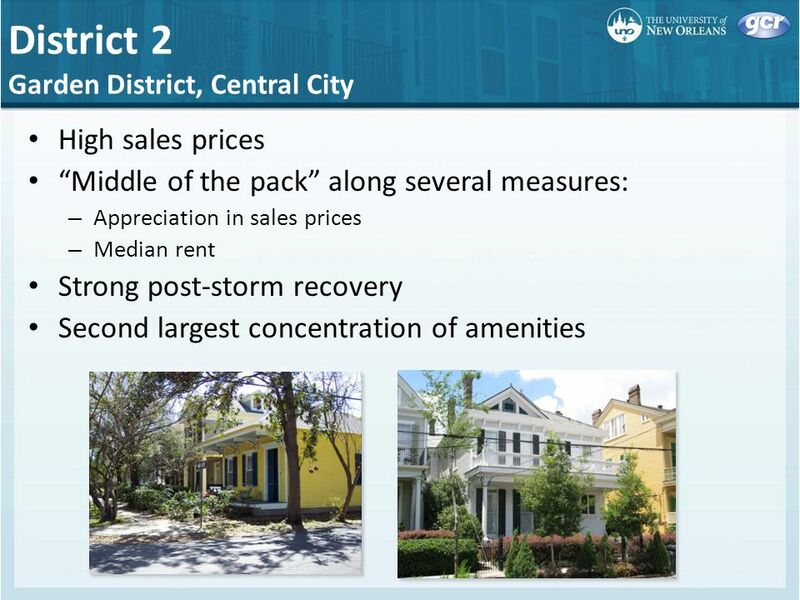 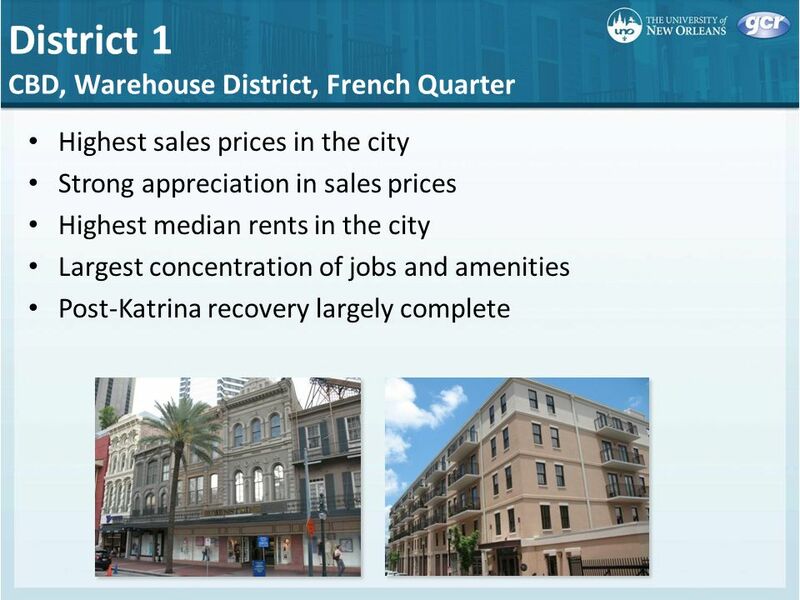 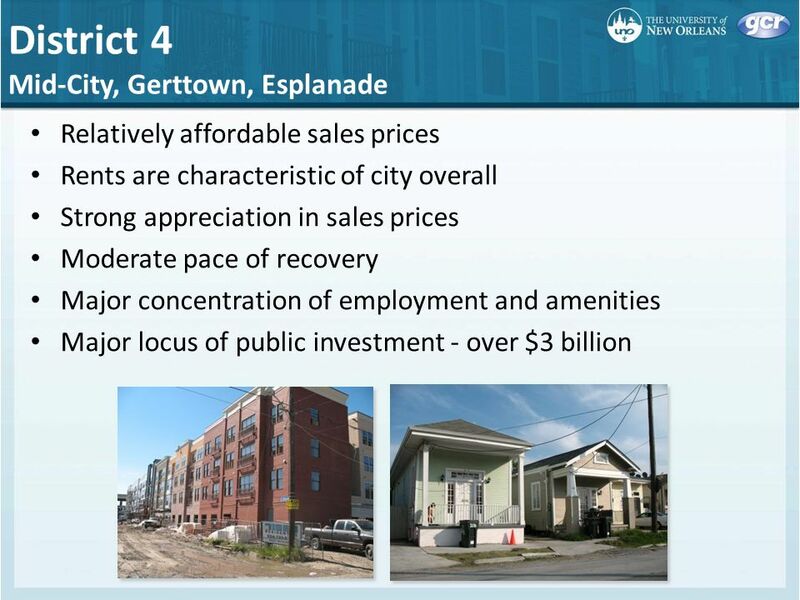 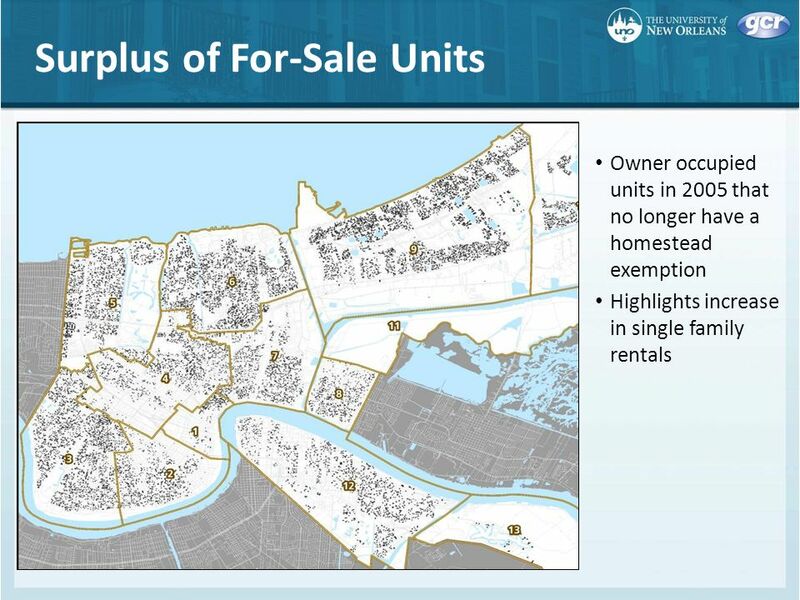 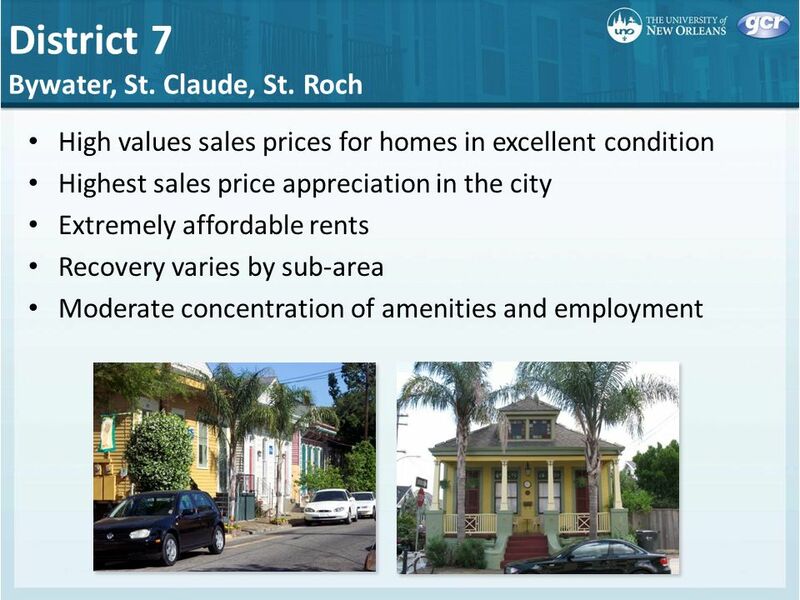 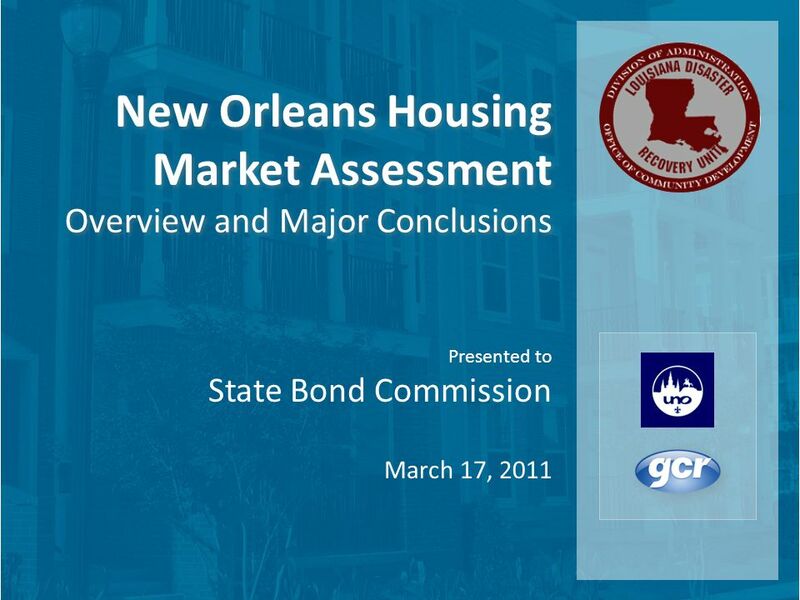 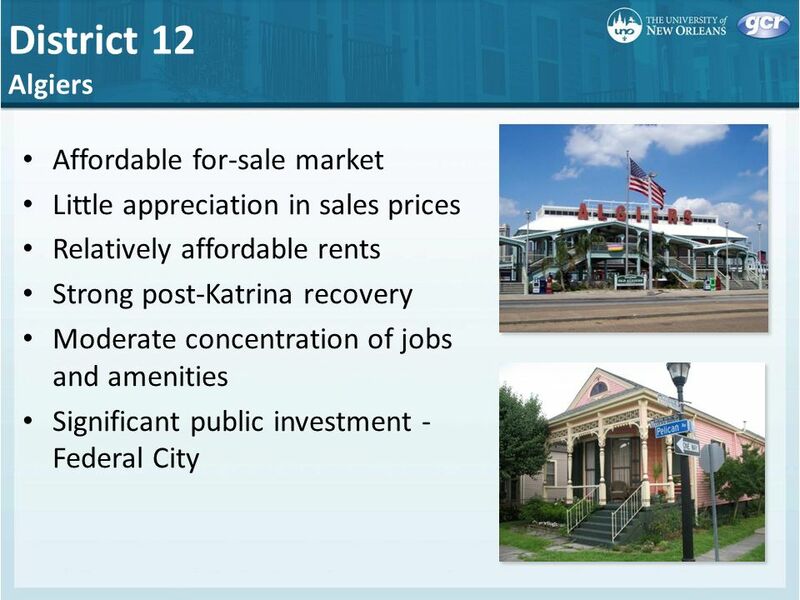 Download ppt "New Orleans Housing Market Assessment Overview and Major Conclusions New Orleans Housing Market Assessment Overview and Major Conclusions Presented to." 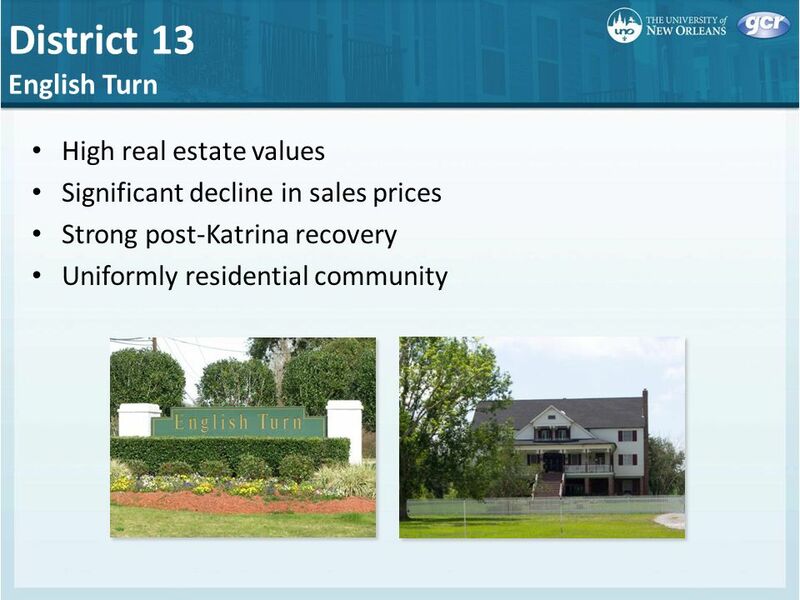 © 2008 Northern Trust Corporation northerntrust.com The Northern Trust Experience A C C E S S. E X P E R T I S E. S E R V I C E. Paul L. Kasriel Director. 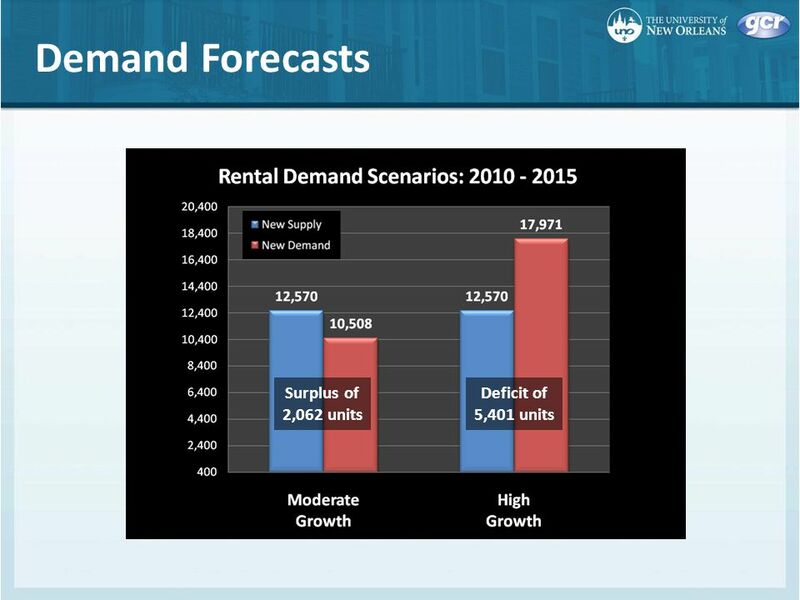 1 Whats Ahead for EU Mortgage Markets? 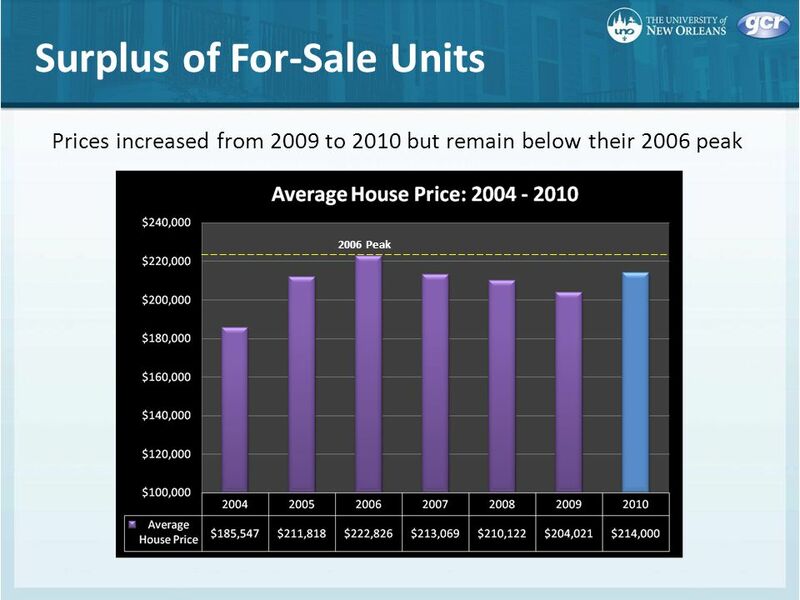 ELRA General Assembly Brussels, Belgium 27 April 2009 Whats Ahead for EU Mortgage Markets? 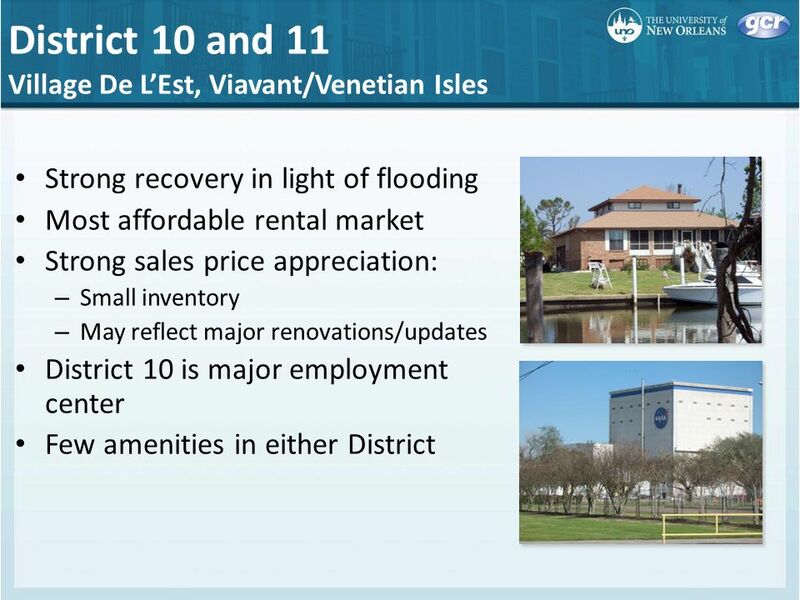 ELRA General Assembly. 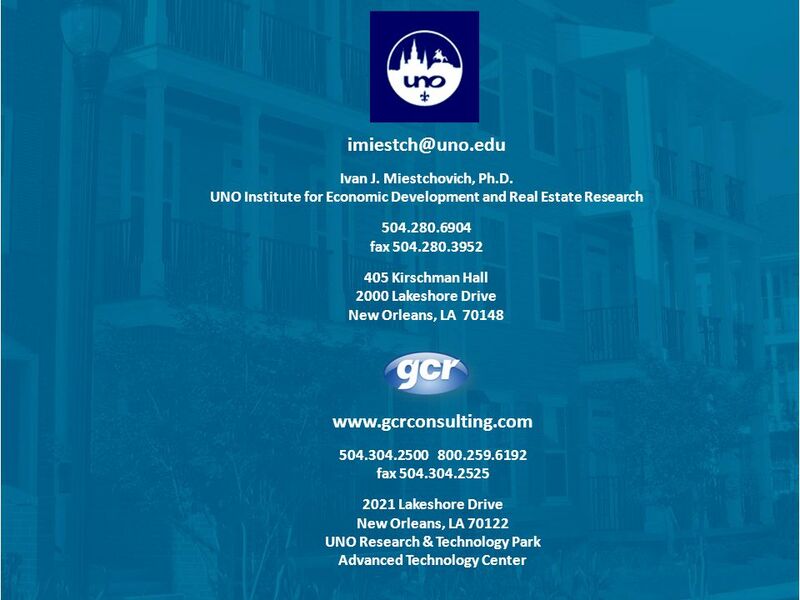 MADISON MARKET 2013 LANDRETTI & COMPANY, LLC DOMINIC LANDRETTI, MAI December 2013. 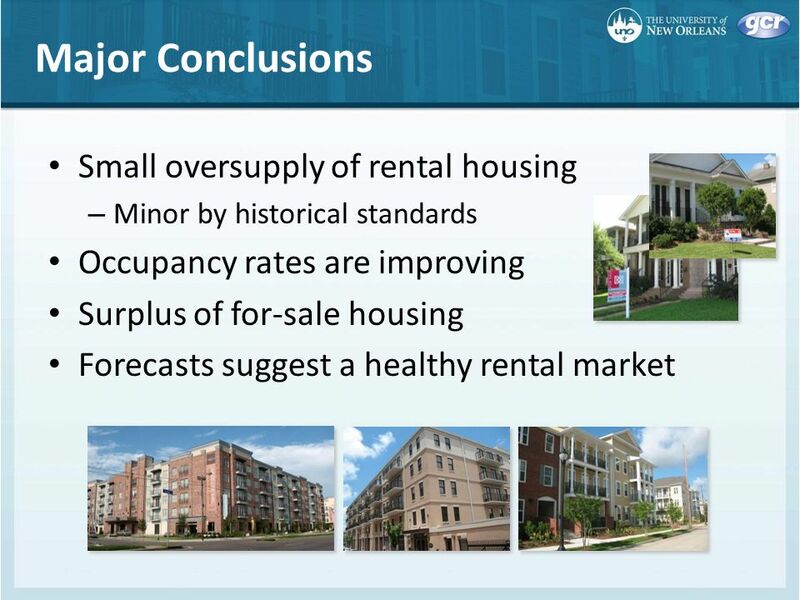 Buy to let and the reconfiguration of Londons housing market Steve Wilcox University of York. 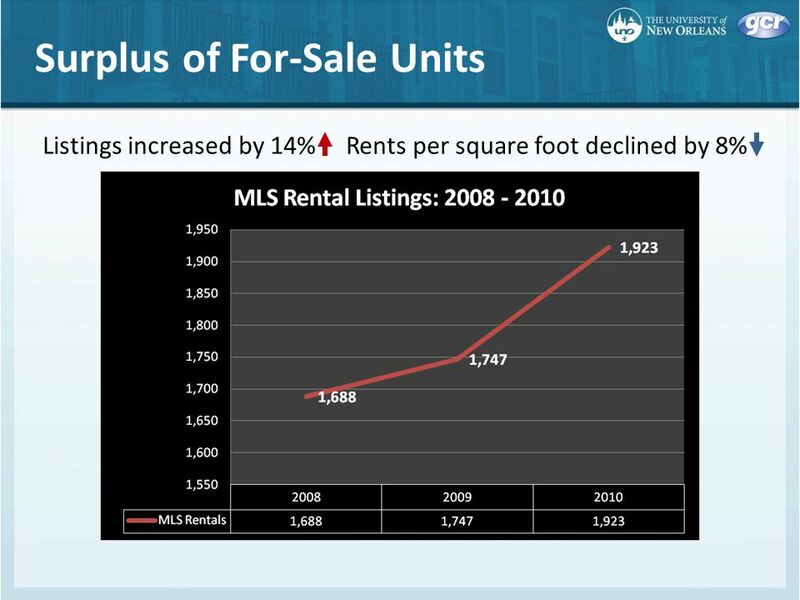 Housing Market Update May 24, 2011 Wayne Yamano, Vice President 1. 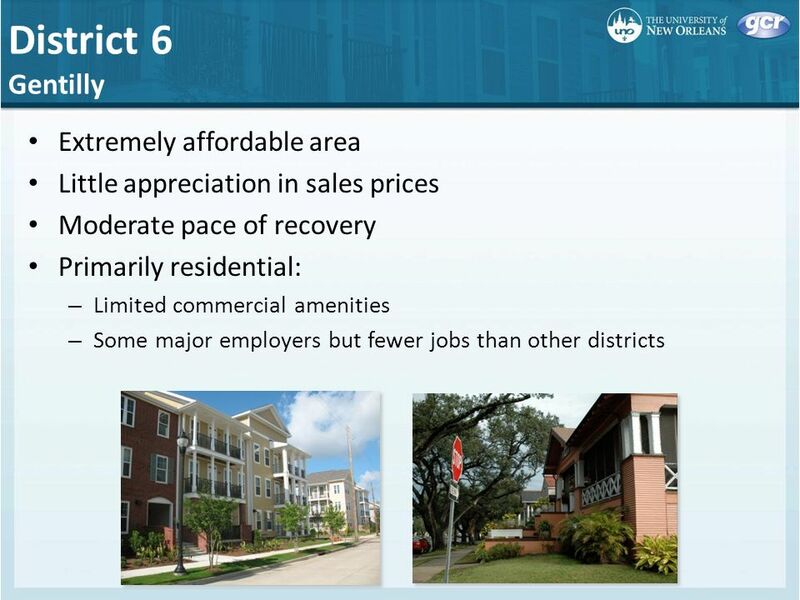 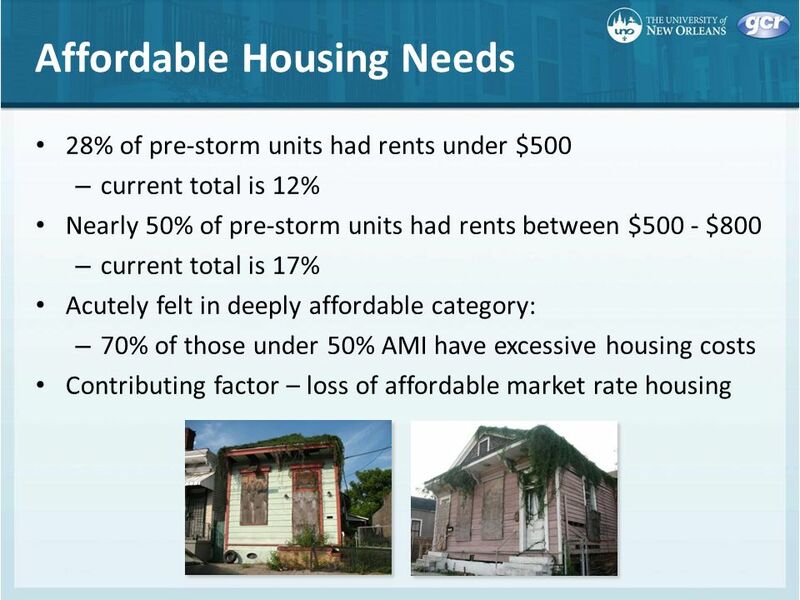 October Metro New Orleans Multi-Family Recovery Scarcity to Excess Capacity. 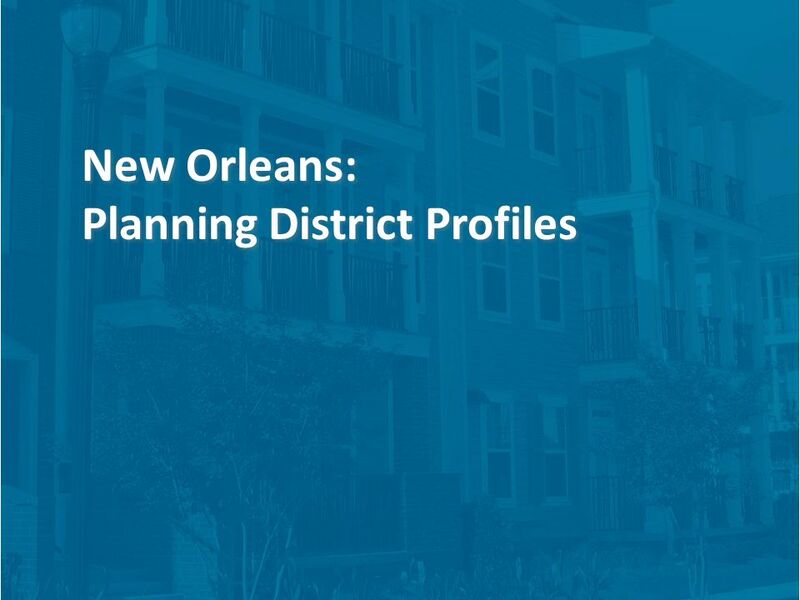 July 19, Horizon West Area 28,000 Gross Acres Six (6) Planned Villages / Communities Includes one (1) Town Center ~41,000 Planned Households. 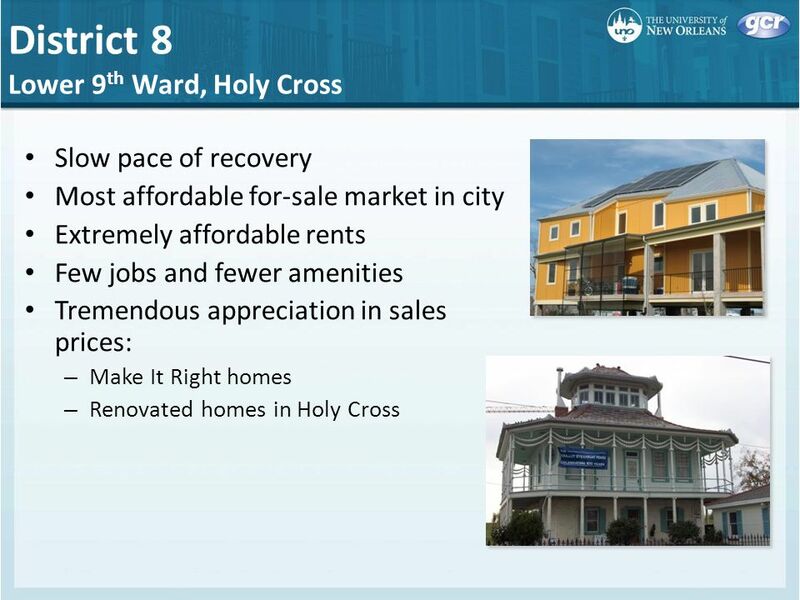 Delaware State Housing Authority FY 15 Joint Committee On Capital Improvement Public Hearing February 11, 2014 Delaware State Housing Authority 18 The. 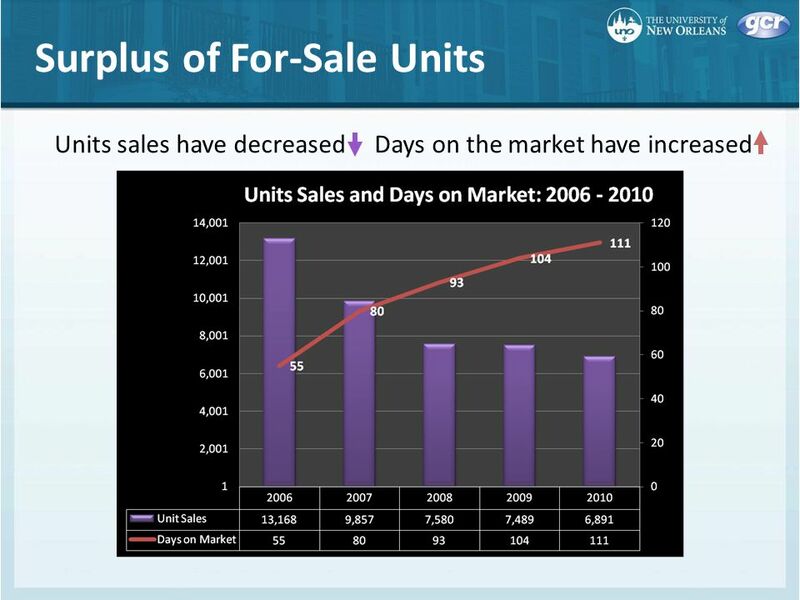 6 th International Venture Capital Forum Athens 14 th -15 th June 2005 Private Equity in Europe -Fund Raising and Trends. 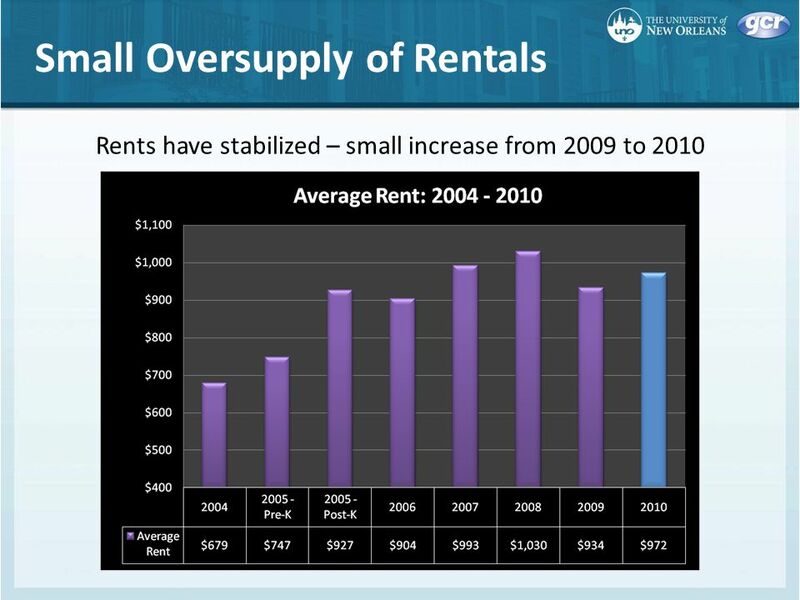 Prepared by: Ken Otto Purvin & Gertz, Inc.
Maine Workforce Conditions & Outlook Presented to the Joint Standing Committee on Labor, Commerce, Research, and Economic Development January 29, 2013. 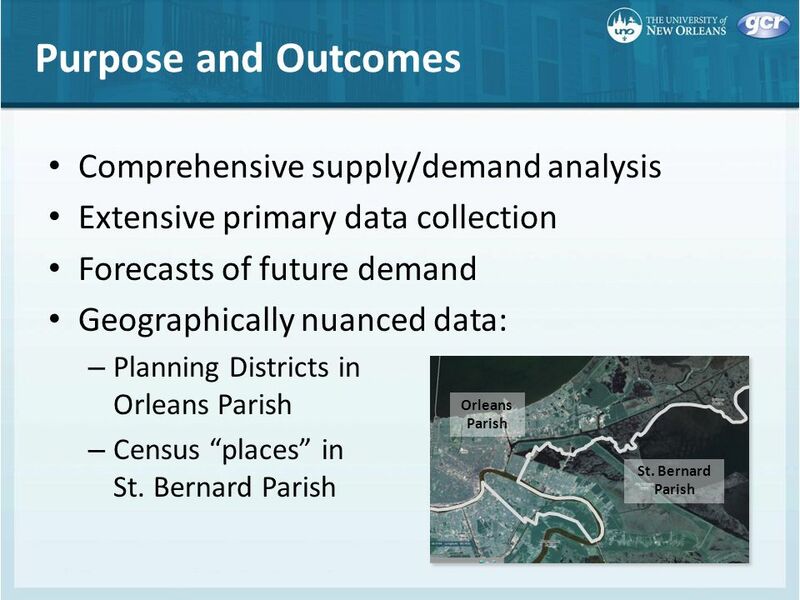 Population Estimates for Orleans Parish July 2007.